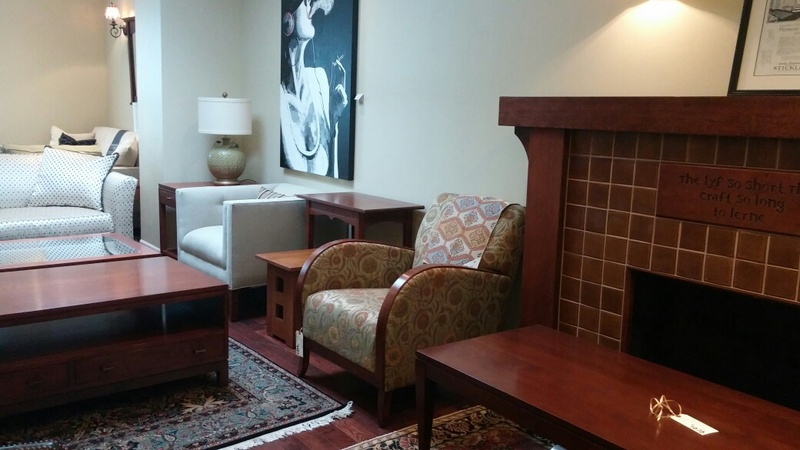 At Manderley Fine Furniture in Toronto, we have been holding Stickley truckload furniture sales annually. This is a very fun and exciting event for several reasons. 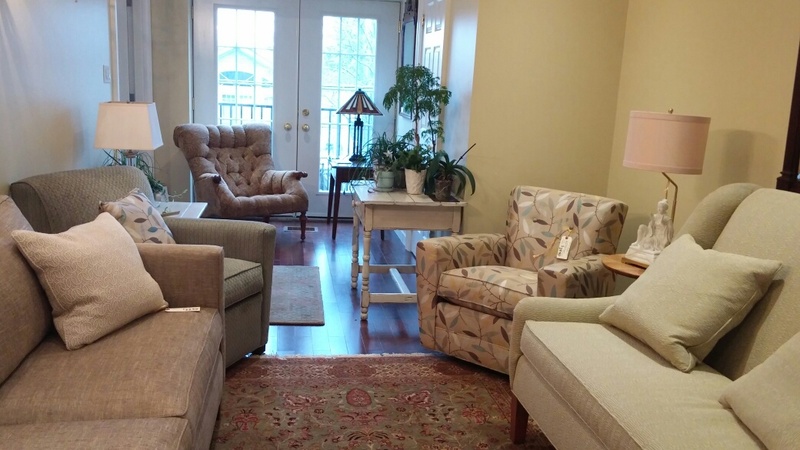 It is simply exciting to see a very large display of exceptional quality furniture, all in one place, at one time! 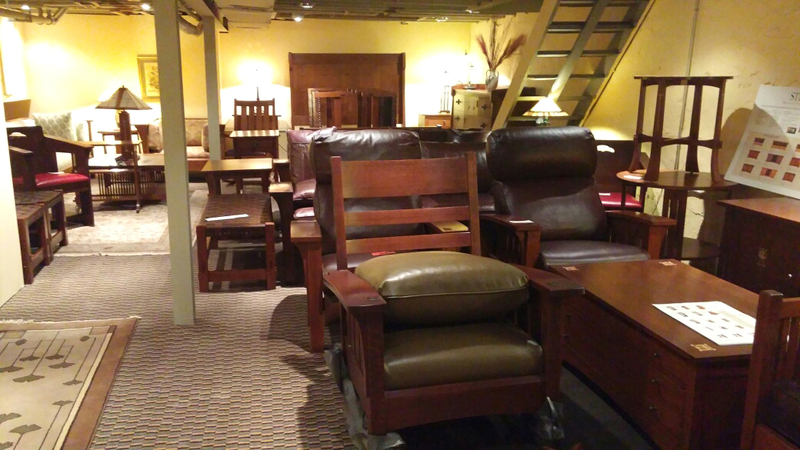 Stickley is well known for its’ creation of premiere Arts and Crafts mission style furniture and the sale truly highlights this part of their collection. For mission style aficionados this is fantastic, BUT this year as a twist; the sale is being held at the two stores of Manderley Fine Furniture on Mt Pleasant Road. 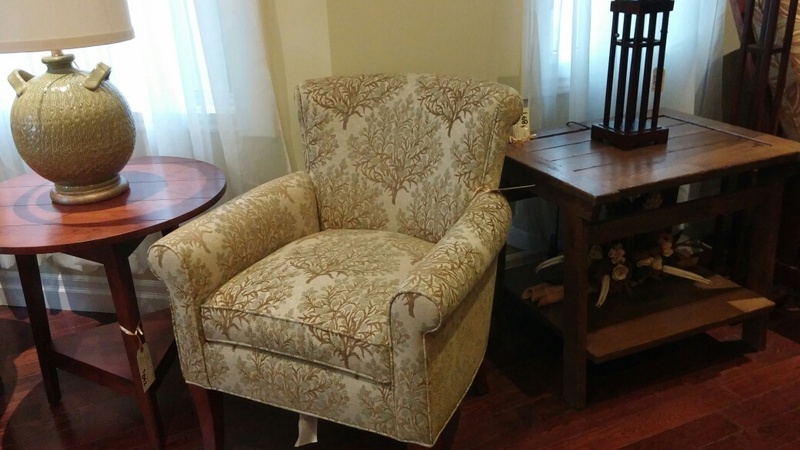 This means that one can see the marvelous mission collection juxtaposed with many other classic pieces of furniture. This is certainly fun in itself, but as well; one can get the sense of how a carefully selected piece of Stickley, be it a mission style corner cupboard, a casual solid wild black Cherry rocking chair, a sleek modern grey leather chair, an uptown looking Charles Renee Mackintosh inspired china cabinet or a sumptuous sofa may delight and inspire your own home. The value in obtaining a simply great piece of furniture is the pleasure it provides on its own but also its transformative value when brought into the centre of each household’s unique decorative scheme. A truly remarkable piece of finely crafted solid white oak furniture can bring a whole room together -as can a lovely small hand woven wool rug in wondrous colour! 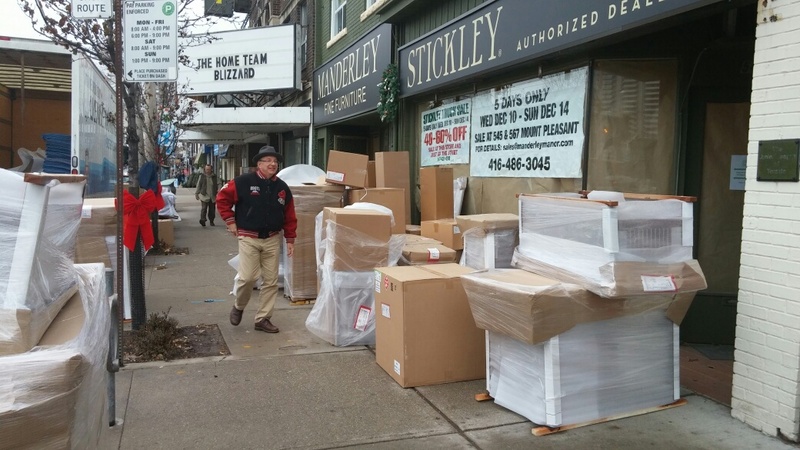 There are of course extra savings to be had at the truckload Sale of Stickley at Manderley Fine Furniture; but this is not the only reason to come the two locations on Mt Pleasant Road (545 & 567) from Dec 10th opening at, four pm until Dec 14th, as Mt Pleasant is a marvelous collection of tasty restaurant destinations and unique local shops to explore for Christmas treasures. 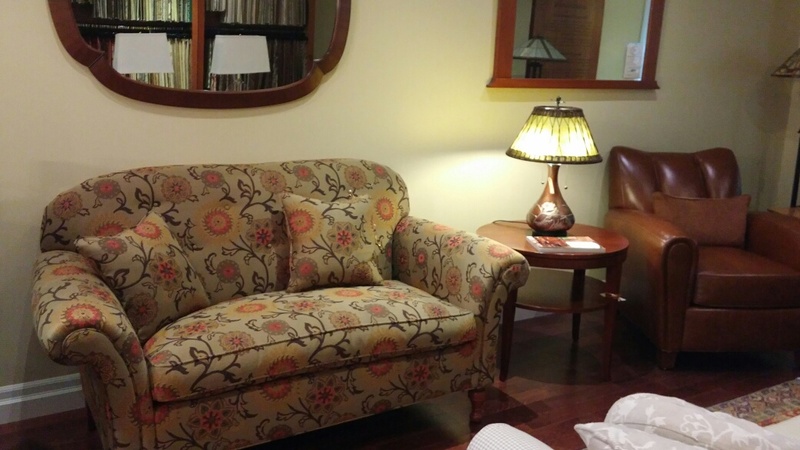 All in all, a great place to spend some quality time this week! 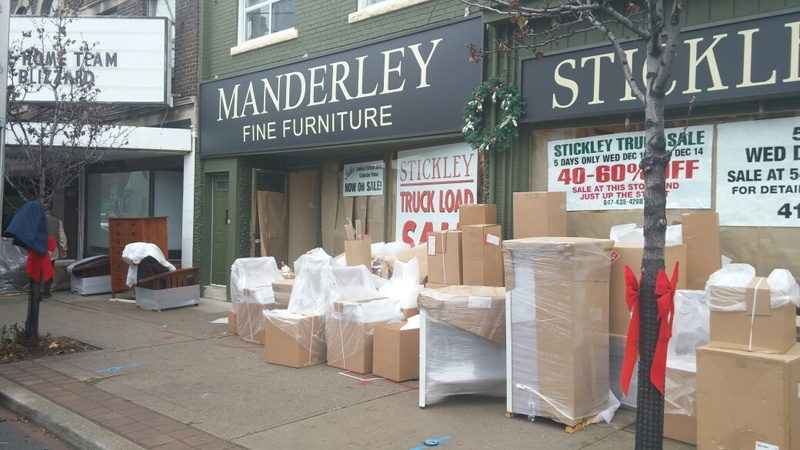 Manderley Fine Furniture is growing! @ 2019 Copyright Manderley Fine Furniture.